Professor Alan Maynard began his career at the University of Exeter (1968-71) as an assistant lecturer and lecturer in Economics. Between 1971 and 1977, he lectured in Economics in the Department of Economics and Related Studies, University of York, and then went on to a position as senior lecturer and reader in Economics and Founding Director of the Graduate Course in Health Economics. In 1983, Alan became Professor of Health Economics and Founding Director of the Centre for Health Economics at the University. Alan is currently Professor of Health Economics in the Department of Health Sciences. 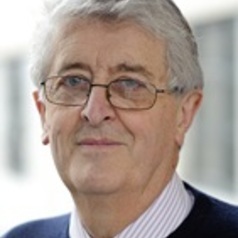 In addition to his academic roles, Alan was Chairman of York Hospitals NHS Foundation Trust (1997-2010) and Chairman, Vale of York NHS Commissioning Group (2012- present).